Hand drawn at Cinebarre Theater while waiting to see Wreck it Ralph or Skyfall or Flight or Seven Psychopaths or something. Hand drawn comic is being scanned and touched up as we speak. Will this mark the return of the second greatest webcomic of all time? who knows! The sale is off. It turns out, it was all an april fools joke. Thanks for all the well wishes and maybe someday it will be a reality. 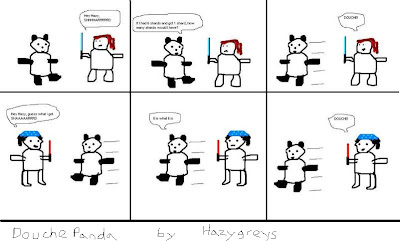 Hazygreys is back with another installment of DouchePanda. 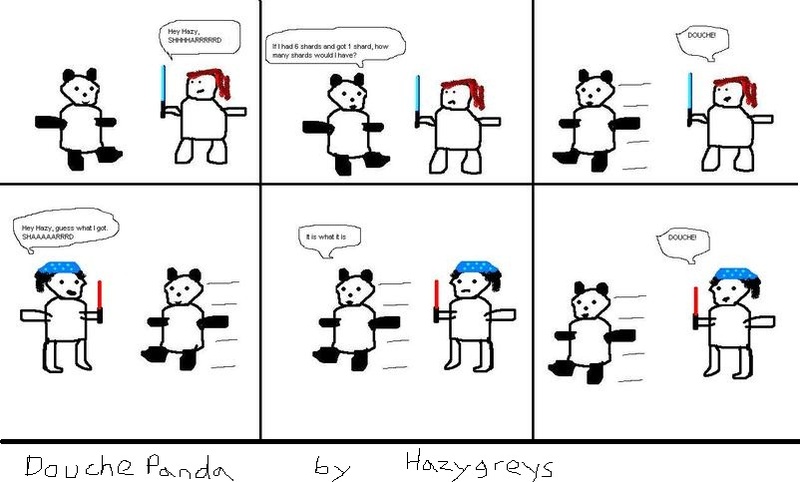 In this one, Hazy takes pot shots at my girlfriend and I (she is the redhead and i'm in the bandana). If you would like any of my comics on a piece of apparel that is not currently showing in the store, please email me or make your request in the comments section of the particular comic and if your request is doable, it will be fulfilled. 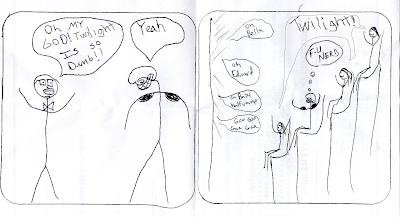 In addition, I have done one custom, hand drawn f-unerd comic for a friend. This is a one of a kind piece of art on stretched canvas that will never be reproduced. If you would like your own custom f-unerd comic, please email me. You can either tell me a little about yourself and trust me to come up with something or you can give me a specific idea. If you aren't worried about having a one of a kind piece, submit your idea to me and if I like it enough to put on the site, you'll get a hand drawn version for free (stretched canvas would require a small fee due to costs and added shipping). © f-unerd.com 2010. Awesome Inc. theme. Powered by Blogger.